Paul Bruun is a self-taught fly fisherman who learned on the docks, seawalls and bridges near his childhood home in South Florida. There was lots of Biscayne Bay water nearby so fishing alone or with one or two friends by bicycle was his main recreation. He started with spinning casting, live bait, dead bait and eventually fly fishing. His friends gave him lots of grief about fly fishing but Paul continued on. Fly fishing in saltwater back then wasn't so popular. Paul's father was a busy newspaperman but took Paul on lots of family trips and weekend fishing to the Keys, Everglades, Cuba, Bahamas, the West, and Canada. His father wrote about fishing and hunting trips and got to know gear industry people. He encouraged Paul's early column writing that first appeared in his newspaper when he was in elementary school. Paul worked at a newspaper during summers all through college. He started his career in newspaper in 1969 as the editor of the Miami Beach Reporter. He also worked as an editor at the Jackson Hole Guide, Jackson Town Councilman and as an editor and co-publisher at the Jackson Hole Daily. Today he writes a weekly Outdoors column in the JH News & Guide. 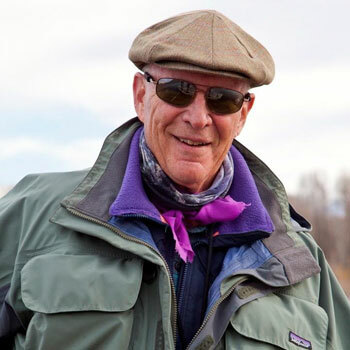 In 1974 Paul started as a fly fishing outfitter and owner of South Fork Fly Fishing Float Trips and continues to this day taking people fishing in the Bridger-Teton National Forest. During his many years guiding and observing changes both small and large along the Snake River he developed an admiration for the native cutthroat trout of the Jackson area. Depending on which biologists are talking there are a dozen or more different cutthroat subspecies that range from the coastal sea run cutthroat of the Pacific Northwest to the isolated desert varieties in New Mexico, Arizona and Mexico to the almost extinct giant Lahontan Cutthroat of Nevada's Pyramid Lake. While guiding on the Snake and other western rives he developed a high performance low profile fiberglass drift boat and start manufacturing them through a company he co-owned called South Fork Skiff. Today he also works as a Fly Fishing Ambassador for Patagonia outdoor company, in Ventura, CA. The pursuit of cutthroat trout in their native habitats is still fascinating to Paul. The Snake River is not stocked and the reproduction, thanks to improved conditions on river-adjacent spring creeks, continues to sustain a popular and healthy fishery. That's what has kept Paul rowing boats since 1974.